Eat Your City: The Burger Joint Edmonton, AB - tasty build your own burgers! 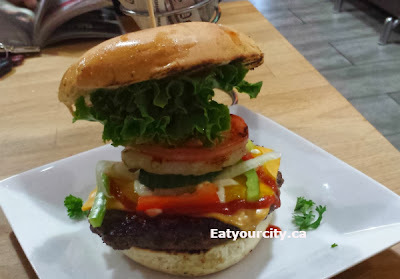 The Burger Joint Edmonton, AB - tasty build your own burgers! So you start off with a checklist... and its soooo easy to go nuts checking choices off while building your burger... then you can add in sides or drinks on top. 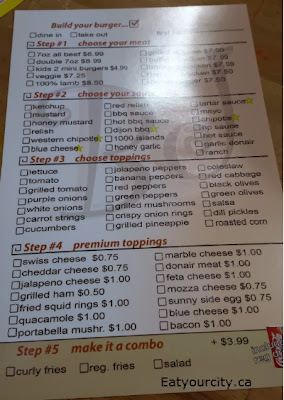 Most of its appeal for this burger joint is that you can super customize your burger and super load it up without getting charged an arm and a leg for most of your toppings, and definitely a place I'll head back to the next time I'm in the south end of town!